Fullerton, N.D., is a small town. Population: 54. It’s a tightknit community whose residents have known each other for decades—growing up together, working side by side, looking out for one another. It’s a community that Ruby Gramlow knows well. Ruby lives in Fullerton and works as a nurse for Hospice of the Red River Valley. “I think I have always liked hospice,” she said,” and I’ve always enjoyed being a hospice nurse.” Ruby has also always liked to sew, first learning the skill in 4-H when she was a child. When she heard about a unique volunteer program through Hospice, she was intrigued. It turns out, most of the women were aware of Hospice prior to volunteering and had been touched by hospice care in one way or another over the years. In “this little corner of the world,” as Ruby affectionately refers to their small town, Hospice of the Red River Valley has touched many lives. 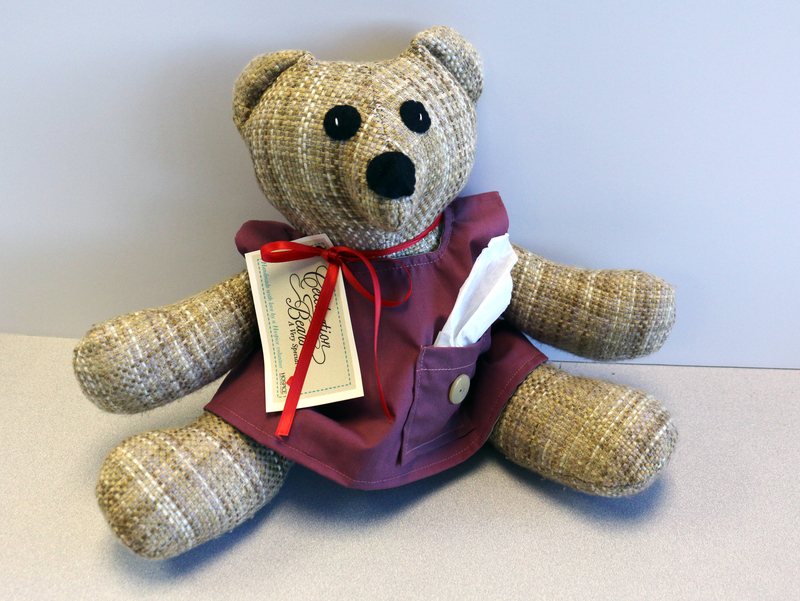 The four Fullerton volunteers sew their assigned bears independently, and each woman has a story to share about her experience volunteering with Hospice. “There have been some that have come through with a logo from an employer or a business or something that was special to that person,” Ruby said. She usually incorporates the logo onto the bear’s paw. While Virginia doesn’t have a personal connection with Hospice, she was still interested in volunteering. “I think it’s a good organization,” she said. “It was something that I could do at home in my free time. 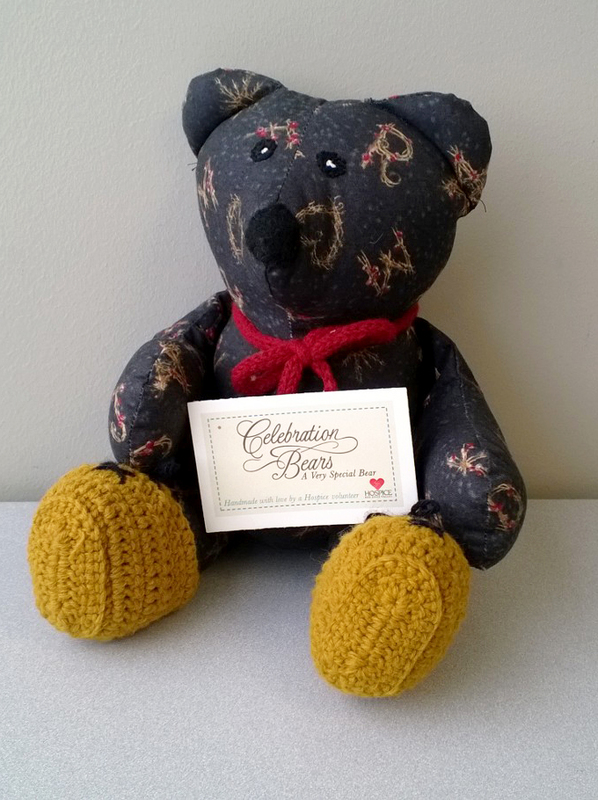 I wish I could volunteer more seriously, but given where we live, I am happy I can do this.” Virginia’s 97-year-old mother, Rose, joins in the bear-making process when she can. Her mother suffers from macular degeneration and is no longer able to do many of her favorite activities, such as sewing, reading or playing cards. “One day when I was doing them, she said, ‘I bet I could stuff them,’” Rose shared. “So while I sew the second set up, she stuffs the first one. 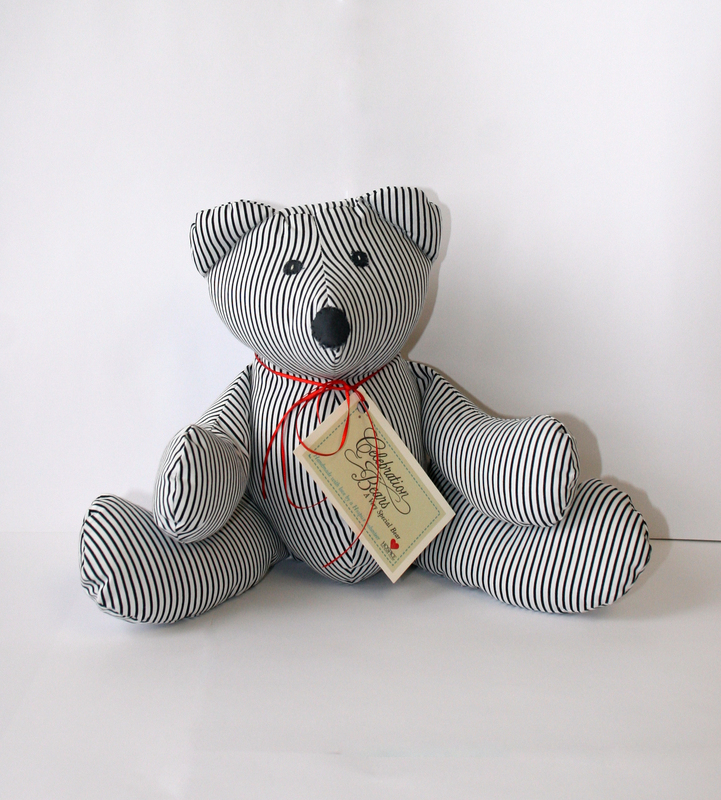 She likes to be busy, so she really enjoys doing this.” Virginia once made a bear from a western-style shirt with pearl stud buttons. “Ruby suggested I could incorporate them, so I used them for eyes. It was kind of a weird looking one,” she said, laughing. Charlotte has been sewing for 55 years. After retiring, she decided to volunteer. 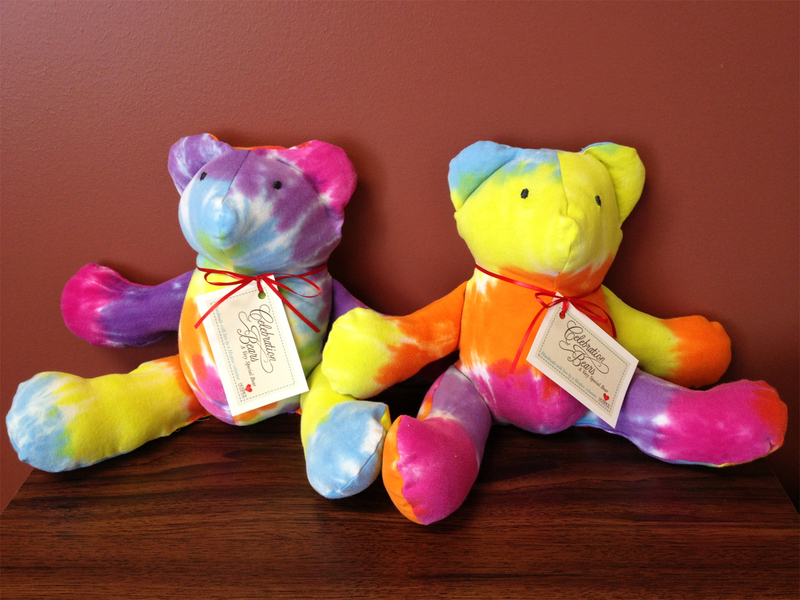 “I just feel it really is a good program and so helpful to people when they really need it.” Even though the sewers always use the same pattern, she said the bears look different and have their own personality because the fabrics are unique. Her most challenging fabric was a denim shirt that had an embroidered bird on each side. 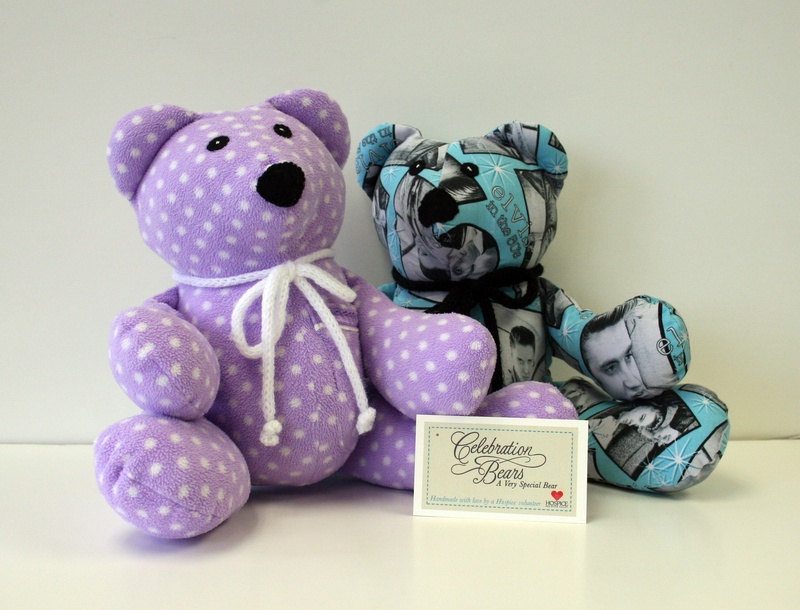 “They wanted a bird on each bear. I thought, ‘How am I gonna do this?’ But I got it done.” The challenges the women encounter while making the bears are worth the effort to overcome. “ I got a thank you from a little girl who lost her grandpa, and it warmed my heart and made me feel like it was all worthwhile,” she said. “We don’t know where the bears go, where they end up,” Ruby said. Some of the women think it would be fun to meet the people who receive them, but as Ruby shared, they “understand we never will.” They also understand the impact the bears have. “Tracy tells me how excited the families are when they see them. Probably because of my work with Hospice and knowledge of the special bond you create with the families, I can just imagine that extra joy. “I think if there’s that one last connection, the family can hold on to their loved one. It’s just so special to be able to give them that. Some days, I’m sure days are harder than others [for a patient’s loved ones],” said Ruby.